Whether you're a passionate blogger or want to add a blog to your site, Blogger/blogspot has all you need to easily create posts, add images, videos and more. Do you know that you can create a blog for free? There are lots of free blogging platforms out there such as blogspot.com, wordpress.com and others but the one i would recommend for beginners is Blogger (Blogspot.com) which is powered by Google. Blogger blogs end with ".blogspot.com", but the .blogspot.com part can be removed if you buy a custom domain for your blog. Today, I'm going to explaining to you, how you can open a free blogspot.com blog free of charge. This is a very good tutorial for you if you are interested in how to create a blog on blogspot.com platform. If you don't know what you can use a blog for, well, you can use a blog to share anything online. You can use it to share news, tutorials, pictures, videos etc to the world and even be making money while doing it. Blogger is an online service owned by Google that publishes single or multi-user blogs created entirely by the user. The service has quickly become the preferred choice of many novice bloggers and is one of the easiest methods of creating and publishing a blog for free. 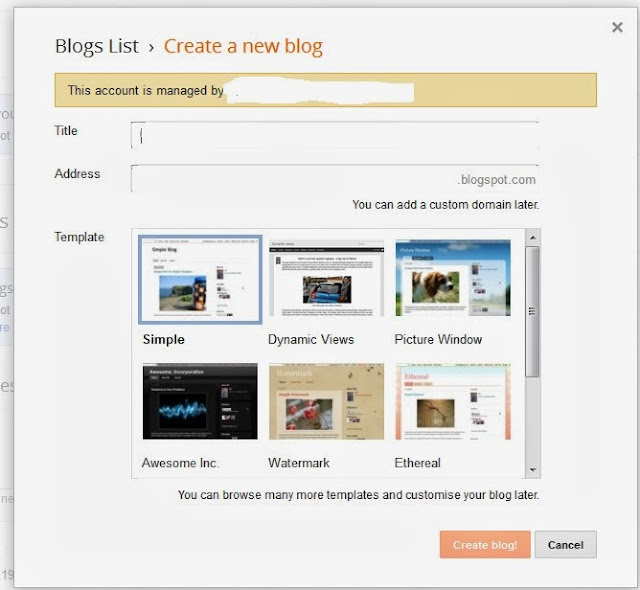 If you are unfamiliar with the service, this article will teach you how to set up an account and create a blog on Blogger.com. On this page, you will create a Google account which you will use for your blog and other Google services. But If you already have a Gmail account, please click on the "SIGN IN" link at the top of the page. If you do not have a Gmail account, fill the form accordingly. Sign In with Your Google Account. But if you already have a Google account, you can bypass step 2 "Create Google Account" step and simply sign in with your existing Google account username and password. After Logging in, Now Create Your New Blog. Then Click on "NEW BLOG" and Enter the blog name and corresponding domain name (to precede .blogspot.com') in the spaces provided. Choose a Template: you will see a section where you can choose your template as seen in the picture above. Choose the template you like. It doesn't really matter which template you choose, you can always change it at a later date but for this example, I will choose the "Simple" template. Once you have chosen your template, click on "Create blog"
Congratulations - Your New Blog is Active! 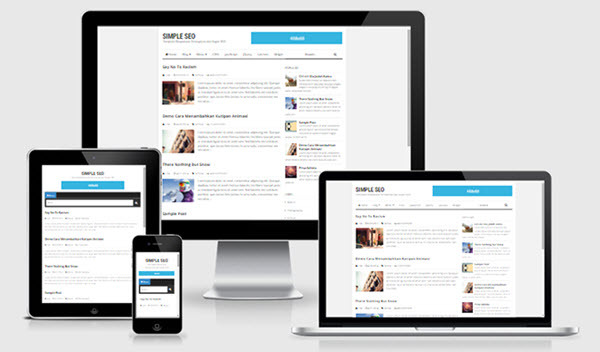 Your blog is now live and ready for you to start writing content. Write Your First Post, That's all there is to it! You're now ready to write your first blog post in your new Blogger.com blog and join the blogger community. Remember, take note of your address because that is what you will be sharing with people for them to be visiting your blog. 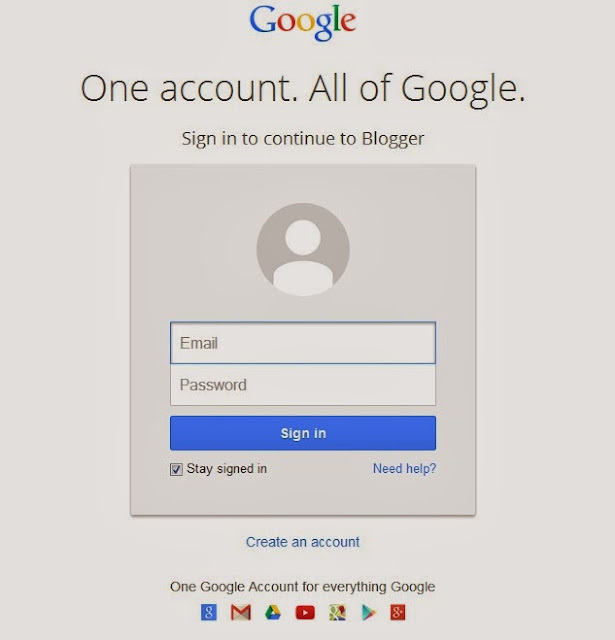 Whenever you want to login to your blog, all you just have to do is go to www.blogger.com or www.blogspot.com and log in with the Gmail details you used when you created the blog. Next time, I will share with you how to write your blog posts and other tutorials.